The kit, which was part of a beta test, taught students about electronics, information technology, environmental monitoring, and air quality through hands-on citizen science activities. Newton Street Study Group's Pamela Moore is spearheading the project. The Newton Street Study Group is an education projects company located in Seattle, WA. The company, which was founded in 1993, teaches, researches, designs, edits, and curates learning experiences with a focus on learning skills acquisition and performance. Customers include students, institutions, and businesses. Pamela was immediately drawn to the idea of using KitHub’s Safecast Air Quality Monitoring Kit. “I was familiar with Safecast's efforts in Fukushima and was already struck by its immense power: citizen science married to a real and understandable goal and a small team of well-connected and capable scientists and engineers,” she explains. 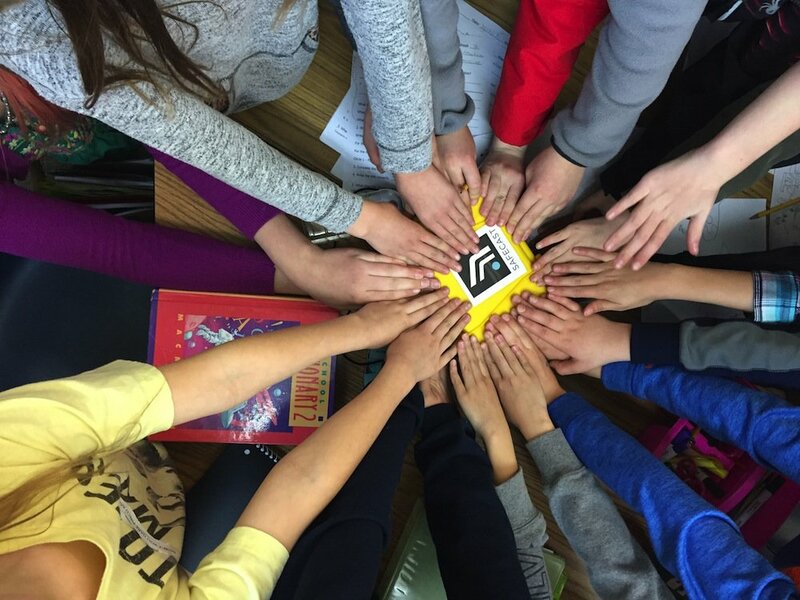 A grant from the Awesome Foundation funded the kit, but when the beta was about to start and she didn't have a ready cohort of students, she got in touch with administrators at her son's school, TOPS, and recruited seven volunteers from the fifth grade class. The kids respond positively to hands-on projects and become quite animated if they are allowed to wonder out loud. While they used the pre-soldered version of the kit, Pamela still feels that the kids had a great hands-on learning experience—drilling intake holes in the plastic mounting case was naturally the most exciting part! More importantly, the project has sparked interest in microelectronics and monitoring at the school. The students are learning about the end result—the data—through presentations on air, and why the Safecast initiative is important and meaningful. They explored incomplete combustion through the lego curriculum from MIT/Edgerton Center, for example, and completed the online PBS curriculum Understanding Air. All of her students are concerned about pollution, and actively interested in making sure that all kids breathe clean air. @newton_street students are concerned about pollution and interested in making sure that all kids breathe clean air. Because monitoring data in the form a number typically doesn’t provide context or meaning for most people, Pamela took the initiative to reach out to the experts at the University of Washington’s Department of Environmental and Occupational Health Safety, who have agreed to help explain the data. Safecast is developing visualizations intended to make the data more accessible based on their radiation map. When students work on a project that affects the world, it is hard for them not to feel responsible. The hands-on activities are also dynamic, profoundly effective learning tools that bring abstract concepts to life by making them relevant. “When you can puzzle through a problem and get feedback from all your senses, you receive a big reward from your brain when you figure it out...It frees your mind to consider other approaches to the problem and to reach out to others to figure out what is going on and where you might have gone wrong,” she explains. While isolated contributions to the Safecast project are valuable, Pamela would like to see a coordinated school monitoring campaign. Connecting to a nationwide effort would boost the sense of meaning the project holds for both students and teachers. Encouraging educators who haven’t participated in citizen science projects and who might not have science backgrounds is an important piece of the puzzle. If you connect with teachers around their interest in the environment or social justice you will find traction. Want to contribute? Classes and individuals of all ages and backgrounds can get in on the action. 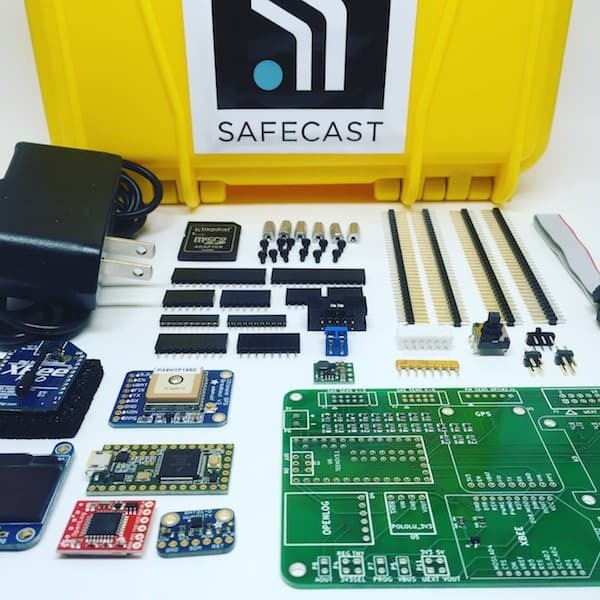 Consider purchasing a Safecast Air Quality Monitoring Station, or buying all of the same parts and assembling the device on your own. The parts list and instructions are available online. Learning electronics and putting those skills to work to collect and share data on our environment is a great way to get involved in two of the most important endeavors of the 21st century—improving our lives through technology, and protecting our planet. Kate Dougherty is a freelance writer specializing in stories about where science, technology, and the environment meet. Her work has been published by Earth Island Journal Online, Next City, the American Society for Mechanical Engineers, and other outlets. Prior to her freelance career, she was contracted to the U.S. Environmental Protection Agency libraries for six years.